Sometimes you may not be able to configure your client to use a proxy, or you may want to explicitly point your application at Hoverfly. For this reason, Hoverfly can run as a webserver. When running as a webserver, Hoverfly cannot capture traffic (see Capture mode) - it can only be used to simulate and synthesize APIs (see Simulate mode, Modify mode and Synthesize mode). For this reason, when you use Hoverfly as a webserver, you should have Hoverfly simulations ready to be loaded. 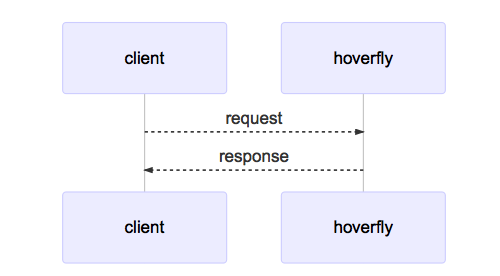 Please refer to the Running Hoverfly as a webserver tutorial for a step-by-step example.